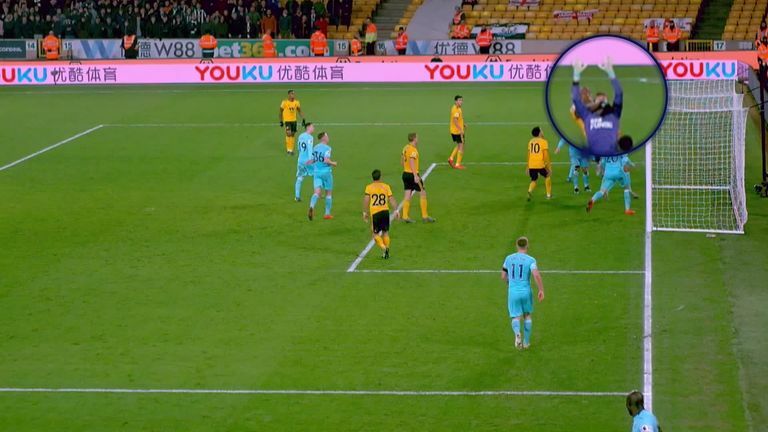 Willy Boly snatched a point in the last minute for Wolves against Newcastle, but did he foul Newcastle goalkeeper Martin Dubravka when heading home? Isaac Hayden’s first goal since October 2017 looked to have put Newcastle on course for a crucial three points at Molineux on Monday Night Football, with the clock past the allotted four minutes of additional time. However, one last cross from Adama Traore put Newcastle under pressure. Boly went up with Newcastle ‘keeper Dubravka, headed into the net, with the referee signalling for a goal, despite Newcastle appealing for a foul on their ‘keeper. Jamie Carragher feels the referee got it spot on. “It wasn’t a foul, and you have to give great credit to Wolves and Boly,” he said. “Dubravka has been a great goalkeeper for Newcastle, but has made a few mistakes of late. Boly shows great determination to get there, and knock defenders out of the way. Hit the video above and judge for yourself! Sky Sports Darts is back!